We fostered this little guy for a couple of days. His name was Boots and we loved him so. He got adopted by a beautiful family and I pray he is having the time of his life there. Floral Fridays began. Read more here. Went to the Grounds of Alexandria for breakfast with Stephen. That place is wonderful. If you're in Sydney, look it up! Our good friends got engaged and we spent the night celebrating with them. Stephen and I love being around others in love. 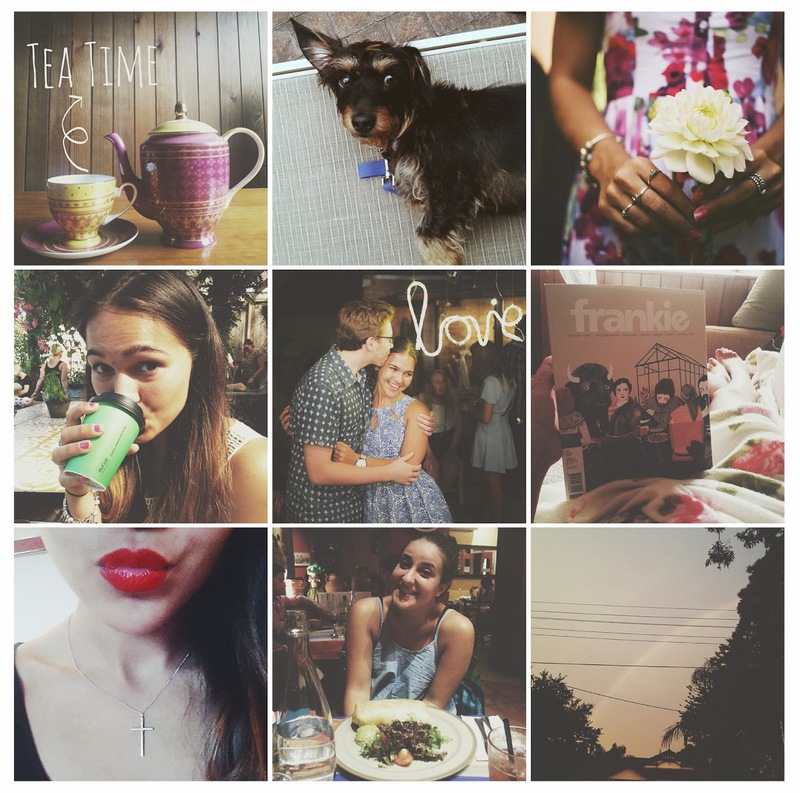 Afternoon delights = Frankie magazine, GIRLS and power naps. Mexican feasts with my babe of a friend. We talk like adults and it makes me feel old and wise. I love her. Summer is slowly leaving us. The rains came and so did the cool breeze but as they faded away they left behind this faint yet beautiful rainbow. Another one of His precious miracles. The fostered dog looks so adorable, hope he's doing okay! Nice tones in your photos btw. Aw, I've always wanted to foster a dog but I thought I would be too sad to give it away. What a beautiful puppy (and instagram)! You have such lovely Instagram photos. I love the middle one. :) The highlight of my week was finishing my midterms and finally getting time to sleep in today (freeeeedom! ).